The Star-Ledger in New Jersey published the long awaited ‘clarifying’ memo on medical marijuana last night from the Department of Justice. It appears from the letter that the Obama administration’s DOJ is going to continue to walk the fine line between allowing ‘self preservation’ for medical cannabis patients (i.e., a patient can possess and cultivate a small amount of cannabis for their personal use) and prohibiting what they call “large scale” medical cannabis cultivation and sales. I lol’d when I read this. millions of dollars from tens of thousands of plants? Do they have any idea the kind of space needed for tens of thousands of plants? And what, are the plants only putting out like a ounce each or something? Are they filling warehouses with autoflowers? Well it seems to be a bit of a conundrum. 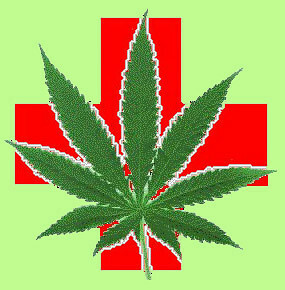 To use medical marijuana, someone is going to have to provide it. I don’t understand. How’s that “Hope Things Will Change” working out for you: more “Change” coming in 2012. This country has become a spooky place to live. “large scale” medical cannabis cultivation equals competition for big pharmaceutical companies and the liquor industry. In addition, large scale medical cannabis cultivation would mean (rightfully so) increased political influence. Because in our nation money equates to political influence. MARIJUANA PROHIBITION IS THE APOCALPTIC/LIVING HOLOXAUST OF PRESENT TIME. THIS UNLAWFUL BIOLOGICAL WAR DESTROYS OUR HUMAN CAPITAL AND STEALS ALL OUR MONEY — DO THE MATH! FOR REFERENCES PLEASE SEE UNDER OUR SKIN — THE INDEPENDENT MOVIE SHOWING THE WORLD THE CONSEQUENCES OF JUST LYME DISEASE WHICH WAS UNLEASHED ALONG WITH THE MARIJUANA PROHIBITION. JESSE VENTURA SHOWS THE HISTORY IN THE YOUTUBE PLUM ISLAND CONSPIRACY. YOU MUST FIGHT FOR LIFE! Sounds like more governmental double talk. And why will our senate not even discuss legalization when its a gross waist of our money , resourses and lives to keep pushing the failed war on drugs. Why cn’t politions see what a gross waist of money proibition of marijuna really is? No matter how you slice it – the DOJ is still dictating policy over state sovereignty. If they keep it up – the American public will reject them to the point of lawlessness. I think they thrive on confrontation. To them it’s headlines – to us it’s notoriety. What it is – plain and simple – is oppression – so what’s new. Ya know! …I have one question – and – one question only…”WTF is this government trying to pull?” It sure isn’t about cannabis. Cannabis is a “False Front.” It’s got to be much, much bigger. In my humble opinion – the “2012 Prophecy” has already become reality. The “One World” Prophecy is out of the model stage – and – December 21, 2012 is progressing according to plan. “God save us all” – it’s going to be “Dooms Day” alright – Dooms Day for our country, our Constitution, and our freedom.